I’ve been working with Leapfrog for a couple of years now. We love their products and have enjoyed reviewing them. 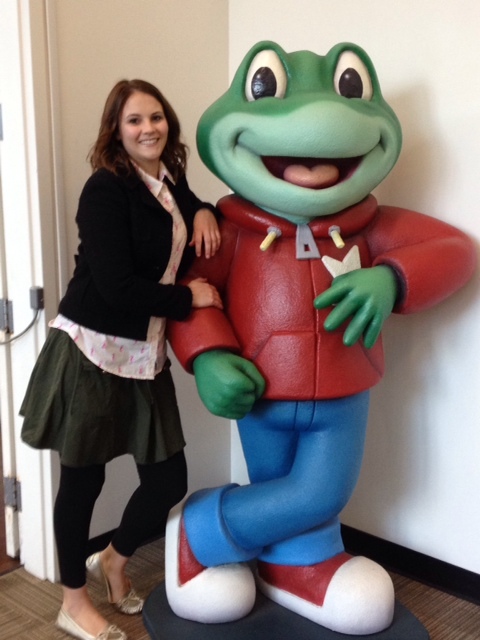 So I was super excited when Leapfrog invited me and four other bloggers out to visit their headquarters in San Francisco! 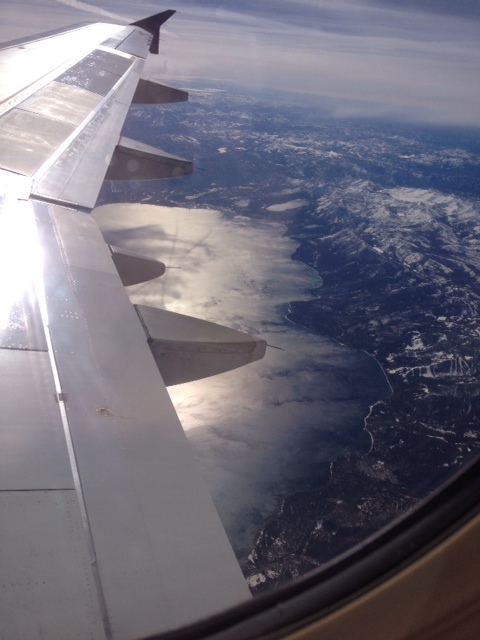 It was my first official ‘business’ trip (if you don’t count blog conferences) and I felt so grown up. It was awesome to fly on a plane without three wild children to entertain. It was awesome to only have to worry about one little carry-on item instead of three carseats and four huge suitcases. Ahhhh…. When I got there, I was picked up by a towncar and got to ride in the back Gossip Girl style to the hotel. I felt very important. Then when I went in my hotel room, I realized, “this is the first time I have ever been in a hotel room by myself!” Beautiful. After that, I met up with another blogger and we rode into the city together (the headquarters are actually in Emeryville, just outside SF). 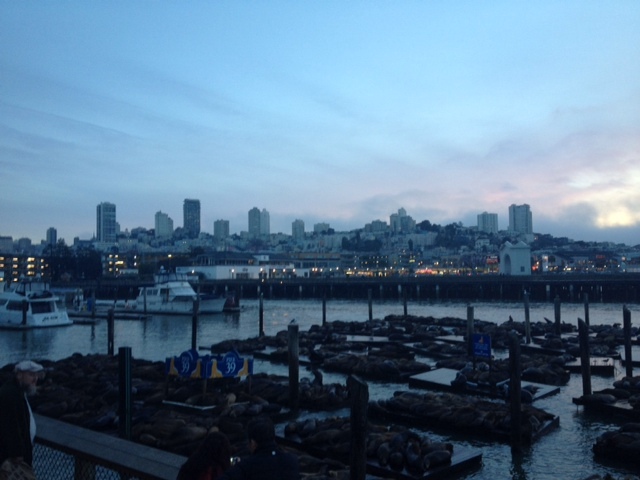 It was super fun to walk around Pier 39 and see all the barking seals piled onto the docks together, stinking up the place. 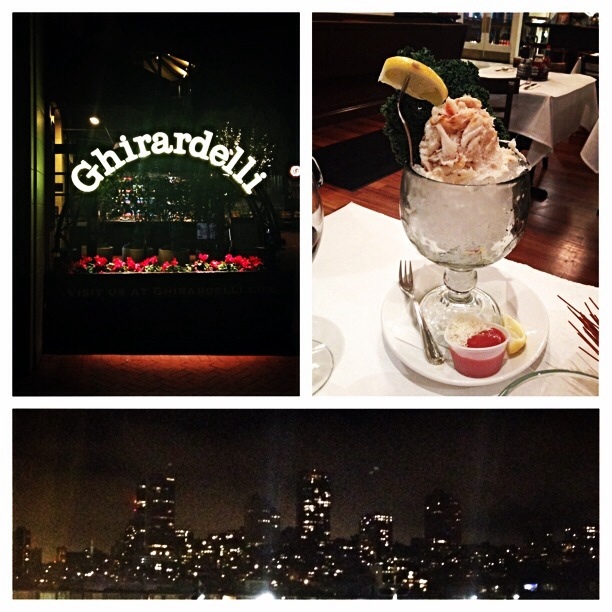 And the city looked beautiful…San Francisco really is one of the most gorgeous cities. We ate dinner and then walked a ways to Ghirardelli Square where I practically ate my weight in chocolate and burned my tongue on the hot chocolate. After that, we rolled ourselves back to the hotel and into bed. The next day, a car picked us up and drove us to the headquarters of Leapfrog. We walked in to see Tag greeting us at the door. We settled ourselves into the conference room where we talked to Leapfrog’s CEO. He was awesome and inspiring. 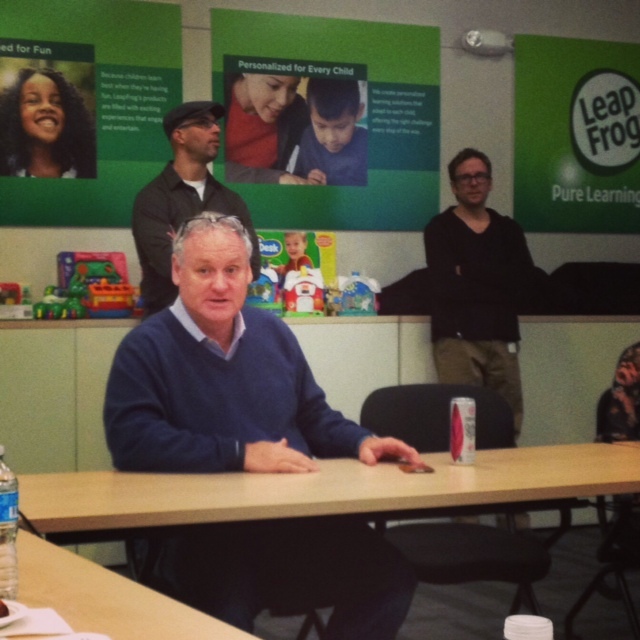 We were all touched at how much he cared about Leapfrog’s mission to really help kids learn and have fun doing it. We were seriously about to start crying by the end of his speech. While we were there, we got to see their process of developing a product, how much thought and research goes into the process. We met with their team of learning developers–the people who develop the Leapfrog games and apps. They seriously all have like PhDs in education and really know their stuff. I got to see first hand the depth that each game has…how if your child is struggling because the game is too hard, it actually will level back to where your child can succeed. So the lesson is don’t help your kids with the games because it will only make it harder for them! 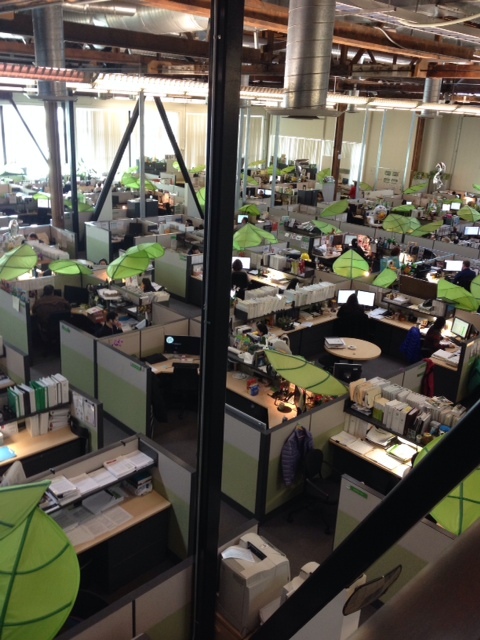 We toured around the entire office, which was such a fun atmosphere–everyone had those giant IKEA leafs above their cubicle. They all had Leapfrog toys in their office and everyone seemed super happy. We visited the Observation Room, where they have kids come and play with the toys and they can see how they use them and interact with the Leapfrog toys. 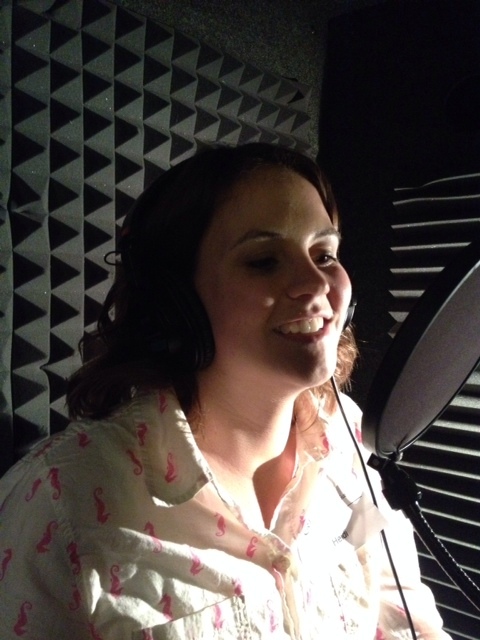 We also visited the recording studio, where all the voices for their movies and toys are recorded. 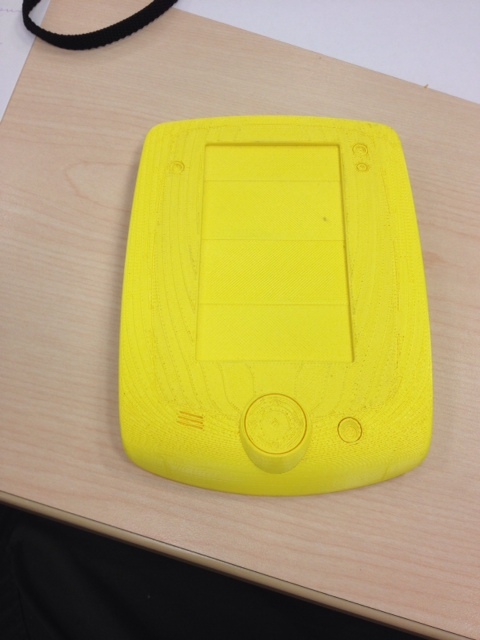 We even recorded our own voices onto a special LeapReader so we could hear our own voices as our kids used them. That was super fun–I’ve always wanted to do that! At the end of the day, they took us to dinner and we went back to the hotels. I learned so much about Leapfrog from this visit, it’s hard to explain it all. The overall feel was that this company really cares about kids and helping them learn. One person mentioned that if a person comes to work for Leapfrog and doesn’t really care in the way that they all do, they won’t stick around very long. It’s a palpable feeling in the office, the passion. If I wasn’t a true Leapfrog fan before, I definitely am now.